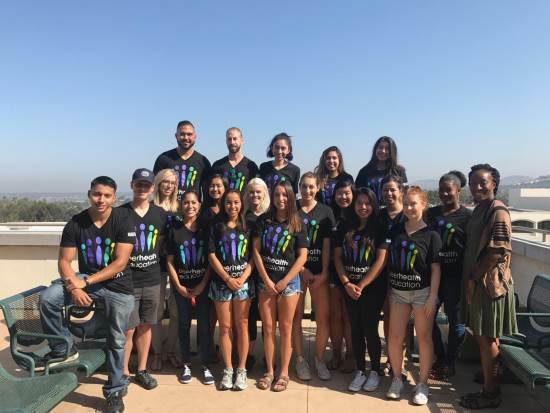 PHEs assist the Well-being & Health Promotion Department with outreach events and present dynamic workshops to students and the campus community on a variety of topics that affect the everyday lives of our students. Interested in an Peer Health Education? I love being in the PHE program because it helps me step out of my comfort zone to discuss health matters in front of an audience, and it gives me the confidence and satisfaction that I am educating my fellow peers to make wise decisions regarding their health, while also having fun doing so. I can’t wait to be an active this semester and get started on changing the lives of other students on campus! I enjoy serving as a health educator for my peers -- understanding firsthand the challenges of maintaining a healthy and balanced lifestyle while also juggling school, work, and social life. I love being a PHE because it gives me an opportunity to communicate health issues with fellow students in a fun and interactive way, while also studying biology in a broader view. Being an active [second semester Peer Health Educator] really allows me the opportunity to share my passions with my peers, and make a meaningful difference in the life of students. I have had nothing but a positive experience participating in this program. This program will help develop your skills as public health professionals in many ways, and is a great way to get a foot in the door for many internships. The PHE program has been such a beneficial and rewarding experience that has opened the door to many other opportunities. I have met some great people in this class who all share the same passion in teaching and promoting healthy behaviors across campus. Being a PHE is really important to me because this experience will build the foundation I need for the next two years after graduation when I become a Community Health Educator serving for the Peace Corps! I am glad to work towards helping educate everyone on how to lead a healthy lifestyle and have fun on the way! Engaging myself in the health field is what interested me in becoming a Peer Health Educator here at SDSU. It's been a great way to get involved on campus and connect with other people who are just as interested in health education as I am. I enjoyed working with my fellow PHEs to create outreach initiatives and lead health education workshops! The Peer Health Education (PHE) Program teaches student volunteers to educate their peers about important health issues, challenges students to examine their values, and introduces skills to help students feel more empowered to stay healthy.